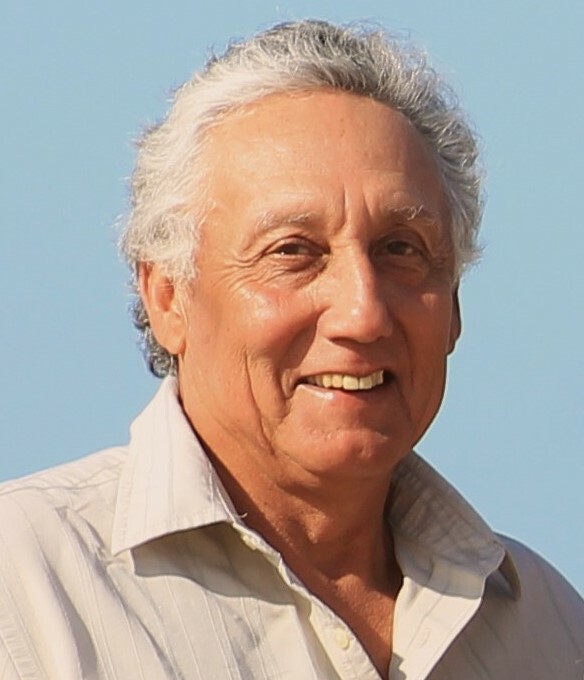 It is with great sadness that the family of James Herrera announces that he lost his battle with glioblastoma (brain cancer) on Friday, September 7, at the age of 71. James was born in Merced, California, on March 24, 1947, to James B. and Helen Herrera. He came into this world with his partner in crime, his twin, Marie. Their parents would often lament that what one didn’t think of the other one did. James attended Merced elementary schools and graduated from Merced High School in 1966. He was drafted in 1967. His dad promptly escorted him to the Navy recruiter where he insisted he sign up. Dad’s intentions were to keep his beloved son out of the Viet Nam conflict. James became a sailor that day and ended up in Viet Nam anyway. He spent two tours on the rivers of Viet Nam. He was in country during the Tet offensive. In 1969, James married the girl next door, Saundra Gordon. They were blessed with two wonderful sons, Steven and Bryan. After the Navy, James was hired by Pacific Gas and Electric Company. He became a substation electrician. He retired after 35 years and promptly became his grandchildren’s favorite babysitter. James loved hunting with long guns and bow, fishing anywhere, working on cars, vacationing at Lake Shasta with a group of crazy friends, and family treks to the beach at Monterey. While living with brain cancer he was blessed with friends who brightened his final months by sharing memories and helping him achieve his long term goal of restoring his ’55 Chevy he had bought and given to his brother in the 1970s. He also had compassionate caregivers in his Bristol Hospice nurse, Bruce Davis, and his personal caregiver, Lardy Magtino. He is survived by his loving wife, Saundra, his beloved sons; Steven (Angela), and Bryan (Jody), adoring grandchildren; James and Chloe; his siblings; Gloria Gonzalves, Marie Herrera, and Robert Herrera (Judy). Also surviving him are his mother-in-law, Peggy Gordon and sister-in-law, Debra Gordon. He was preceded in death by his parents, James and Helen Herrera, father-in-law LeRoy Gordon, and brother-in-law David Gonzalves. Friends are invited to a visitation from 3pm-8pm with a Rosary at 6 pm on Monday, September 17, 2018 at Ivers and Alcorn Chapel in Atwater. Funeral Mass will be at 10am on Tuesday, September 18, 2018 at Immaculate Conception Catholic Church in Atwater with burial at 1:30 pm at San Joaquin Valley National Cemetery in Santa Nella, CA.